Another year, another awe-inspiring Edinburgh Fringe Festival. This famous university city is already renowned for its mix of fun, flair and downright friendliness, but the month of August is when it really comes into its own. For three magical weeks it feels like the best and brightest talents the world has to offer congregate in one place for an annual celebration of creativity in its rawest form. The good news is, the fringe isn’t over yet. Indeed, the show must and will go on until Bank Holiday Monday (August 28th)! This is a special one too – it’s the 70th anniversary of the Fringe. When it all began, eight theatre groups rocked up without an invitation to strut their stuff at the brand new Edinburgh International Festival. Undeterred at the prospect of gate-crashing the official bill, they put on their shows on the fringe of the Festival, inadvertently coining the name ‘Edinburgh Fringe Festival’. 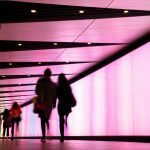 The Fringe Festival Society, formed just over a decade later, made it official by publishing an official programme and opening a central box office. In keeping with the spirit of the events of Edinburgh circa 1947, the Society has never vetted the festival’s programme, and welcomes anyone with a story to tell and a venue able to accommodate their performance. 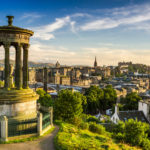 This year has once again been a treat for the fringe revellers, who have enjoyed an eclectic mix of entertainment from acts hailing from every corner of the globe. Seen first and foremost by many as an unrivalled comedy festival, the fringe of 2017 has also been a hoot. On top of the belly laughs, visitors can also take in music, theatre, spoken word performances, dance, circus, children’s shows and much more. 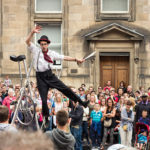 For more information about the upcoming events in this final week of the fringe, visit: https://www.edfringe.com/. If you need Edinburgh Fringe Accommodation for 2018, please check out our website and book asap!